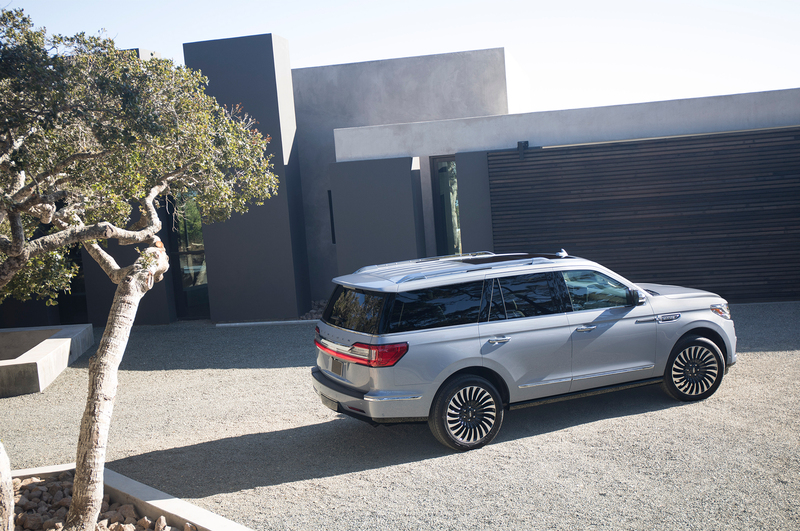 Lincoln has been teasing the next generation Navigator since last year's New York Auto Show. There, the American automaker unveiled a prototype with funky gull-wing doors and a teak-wood staircase, making it seem as more of a novelty than an SUV. Lincoln finished off its taunting yesterday with a shadowed shot of the revised front end, and now, we've seen the 2018 model in all of its glory. With a strengthened powertrain combo and redesigned styling, it looks to put Lincoln ahead of Cadillac in the race for big-boy luxury supremacy. And boy, is this thing comfy. 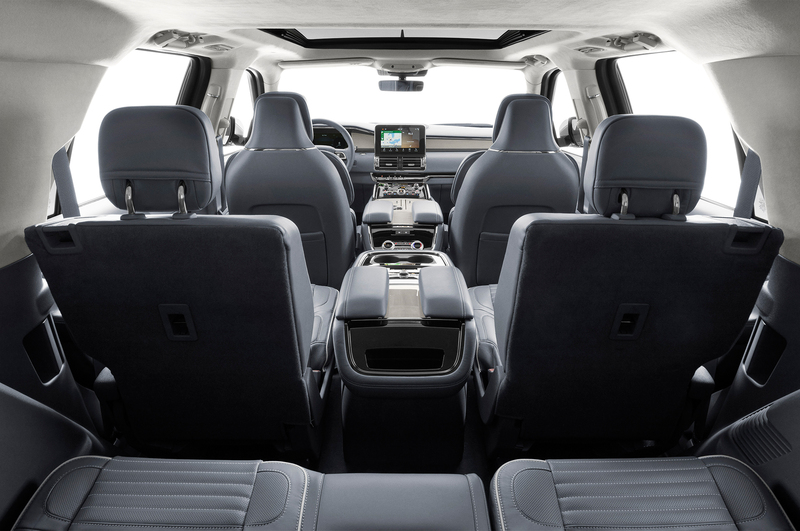 As you can see from the interior shots, the front driver and passenger seats have padding on top of padding, putting the multi-contour thrones in another category as they're stitched in exquisite French leather. The fronts are also 30-way adjustable, giving you ultimate control over your seating position. 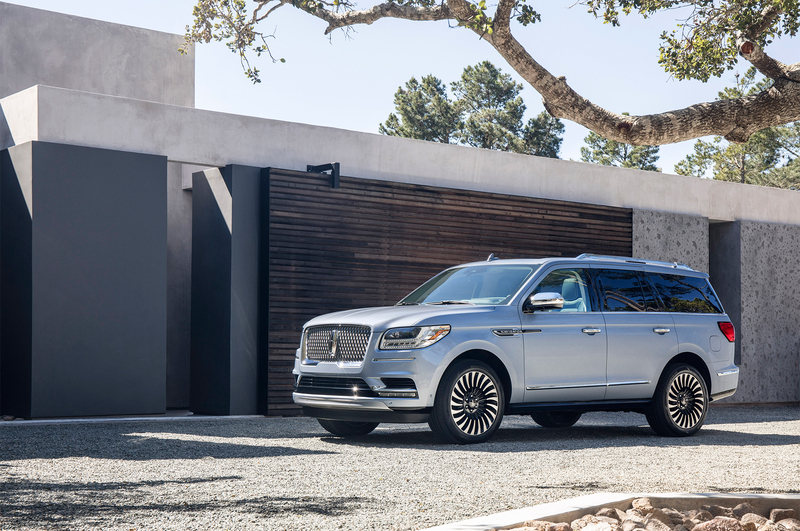 Every aspect of the Navigator's cabin has been optimized to reduce noise, including laminated windows and improved sound deadening throughout, which allows the 20-speaker Revel Ultimate sound system to sing its song without interruption. 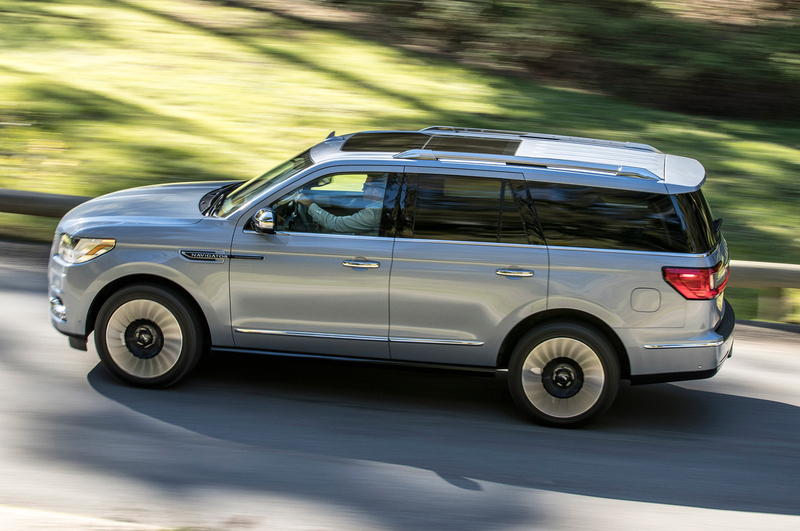 Accessibility is a key talking point for the Navigator as well. It features nifty tech like Apple Car Play and Android Auto, both of which are controlled via the sleek 10.0-inch center touchscreen display. 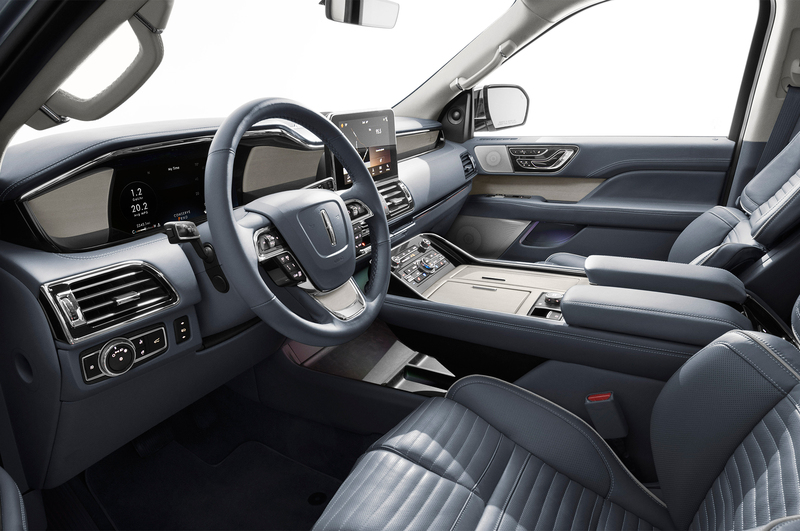 The infotainment system also offers a 4G WiFi hotspot for the road, making the Lincoln a suitable spot for work and play. The SYNC 3 System has been gone over from its Ford roots, but it keeps the easy-to-use dynamics that we've come to love from the unit. A reconfigurable 12.0-inch digital dash cluster is also standard, suiting your needs for straight-forward viewing. Styling is also a significant step up from the last generation. Whereas the 2017 Navigator was a slightly facelifted version of the previous model, the SUV gets a full makeover to suit its new age underpinnings. The handsome front fascia is more sculpted and less flowing than the outgoing model, giving it a strong definition. The profile is sleek, providing a smooth transition to the rear where you can find a single-piece taillight. It's an all-conclusive package that combines well, front to back, leaving us satisfied with the no-longer-boxy exterior. Power ratings are also improved from the rejuvenated 3.5L Ecoboost V6. 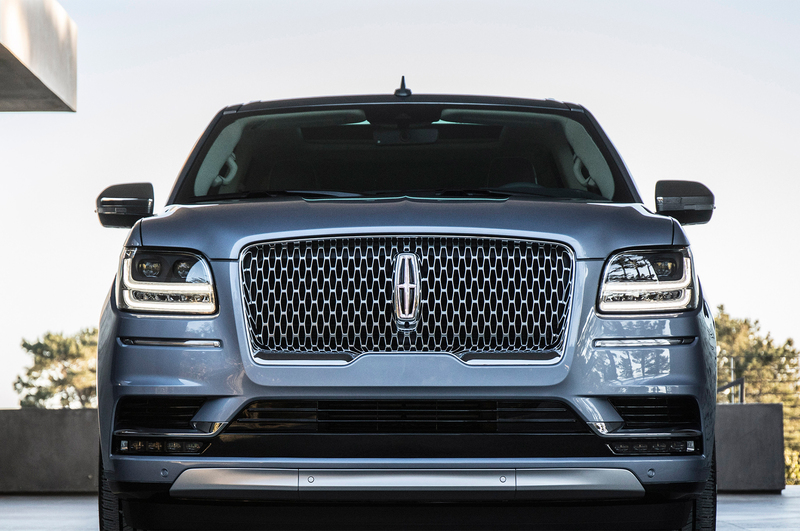 The twin-turbo lump now produces 450 horsepower and 500 lb-ft of torque, a significant number for the Lincoln. It's paired to the newly developed 10-speed automatic gearbox, which should improve fuel economy numbers as well as around town drivability. Pricing is yet to be announced, though we expect it to leap into the Cadillac Escalade territory of $74,000. That's a steep hike from the old Navigator's $64,000 starting price, but Lincoln is looking to compete directly with GM in this case.